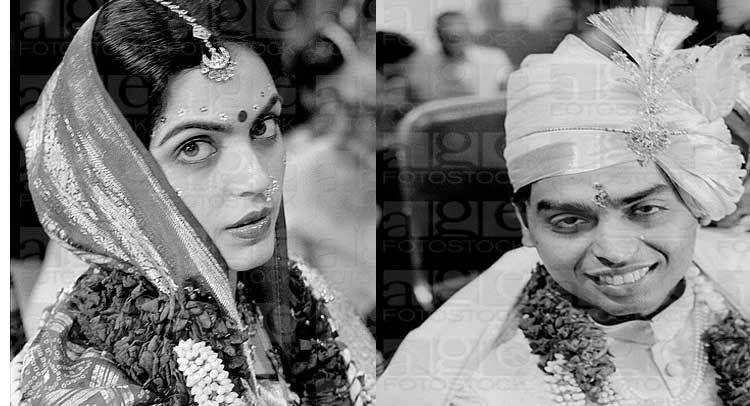 Mukesh Ambani & Nita Ambani Love story With Wedding Pictures. 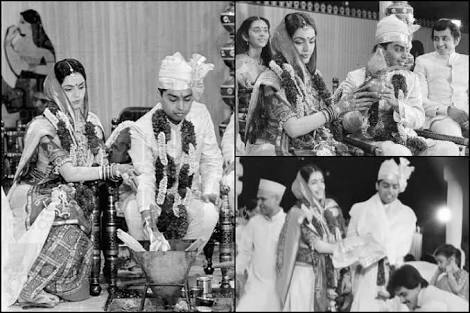 Home LIFESTYLE Mukesh Ambani & Nita Ambani Love story With Wedding Pictures. They were a pair made in heaven, One is budding businessman and one is graceful dancer. Together they look terrific. Here, we are talking about one of the well-known business tycoon, MUKESH AMBANI and her lady love NITA AMBANI. 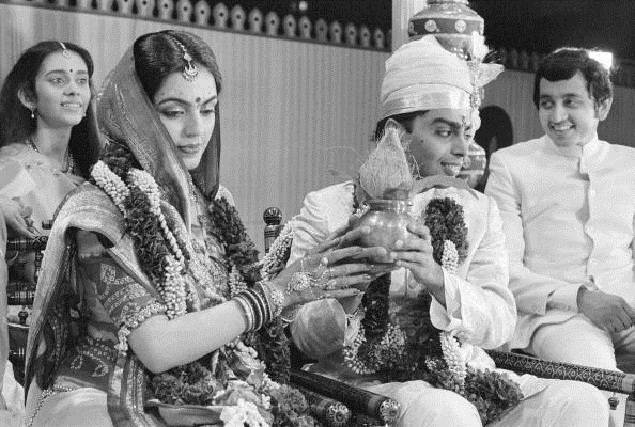 Mukesh Ambani and Nita Ambani have always been adored for being the couple they are. Nita has always been a helping hand for Mukesh and in this process, she herself has contributed greatly to the society. But, does any of us know the love story of this couple? How two different personalities came together to share a beautiful bond? If not, then I am here to tell you their love story. Mukesh Ambani was in the limelight for being the son of one of the most known businessman, Dhirubhai Ambani. 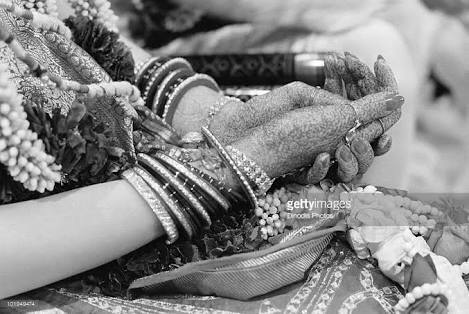 But Nita belonged to a middle – class joint family, where her mother was a Gujarati folk dancer. 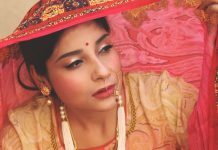 Ever since the age of 5, she followed the footstep of her mother and started learning Bharatnatyam. 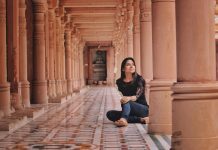 Also check out How Shukra Planet affects your life. Her talent couldn’t be ignored and soon she got opportunities of performing on stage. This is where Dhirubhai Ambani (her to be father in – law) noticed her. At the age of 20, while performing during the Navratri at Birla Matoshree, Dhirubhai Ambani was mesmerized not only by her dancing skills but also by her cultural connect. 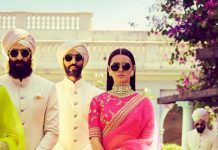 Instantly, he decided to make her his daughter in – law. The day after the performance, Nita Ambani got a call from none other than Dhirubhai Ambani. She couldn’t believe her ears and thought that someone was playing a prank on her. She simply said that it was a “wrong number”. But when Dhirubhai Ambani called her again, her irritating knew no bounds and she said “If you are Dhirubhai Ambani, then I am also Elizabeth Taylor” and disconnected the call. Nita’s dad then requested her to talk pleasantly to the man as he was “the” Dhirubhai Ambani. When the call connected yet again, Nita greeted Dhirubhai, “Jai Shree Krishna” and he invited her to his office. She was absolutely confused and thought why such a big personality wanted to meet her. Nita went to the Ambani’s office. Dhirubhai asked her questions about her hobbies and her work. And after the introductory talks, Dhirubhai dropped the bomb. He asked her if she was interested in meeting her son Mukesh. Undoubtedly, Dhirubhai played the role of a cupid, a match maker for the two. Nita Ambani was determined to give a chance to Dhirubhai’s son and met him at their place,Usha Kiran. She rang the bell and a young man clothed in white shirt and black trousers welcomed her at the door. 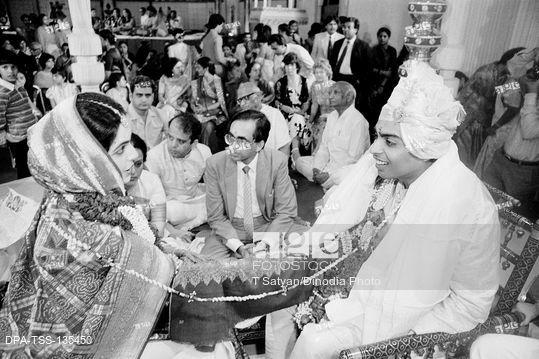 He was none other than Mukesh Ambani who introduced himself to Nita and this is how they met for the first time. It was their sixth or seventh meeting. The two were siting in Mukesh’s fiat driving across Peddar Road in South Mumbai. Nita was still in doubt about their marriage as she wanted to complete her graduation. The car halted at the signal and this was the time when Mukesh Ambani proposed Nita for marriage. 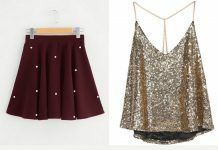 The time at the clock was 7:30, the traffic was at peak, the horns from the cars of irritated drivers blew constantly and Mukesh said, “Tell me or I won’t start the car!” Unexpected? But yes this was the way Mukesh Ambani proposed to Nita Ambani. The confused Nita didn’t have much choice and she actually said “Yes I will, Yes I will”. Rest as we all know is history. 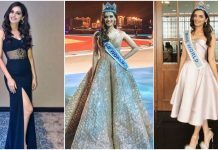 Nita Amani’s life is a perfect fairy-tale and she feels she is really lucky to have a great husband like Mukesh Ambani. They really make a great couple together. Click to find out How your name effects your life in Numerology. 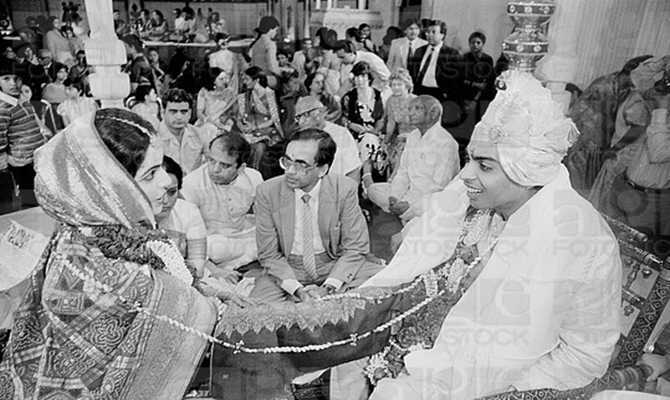 Here are the pictures from their wedding day which was completed following all rituals within the family & friends. 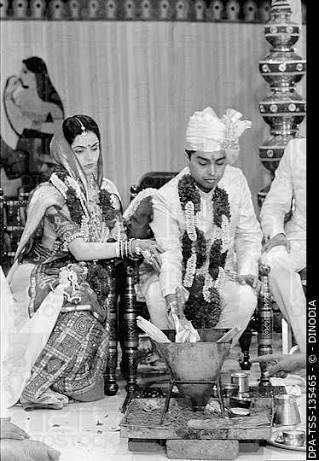 Look at the Mukesh Ambani & Nita Ambani marriage pictures. 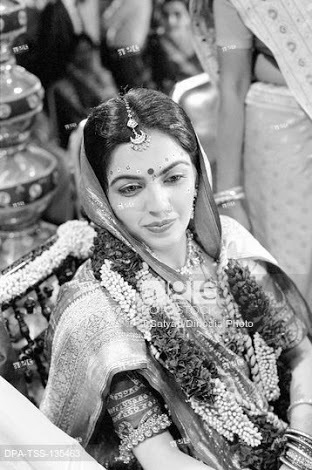 Nita Ambani looks compeletly gorgeous in traditional gujrati Saree.